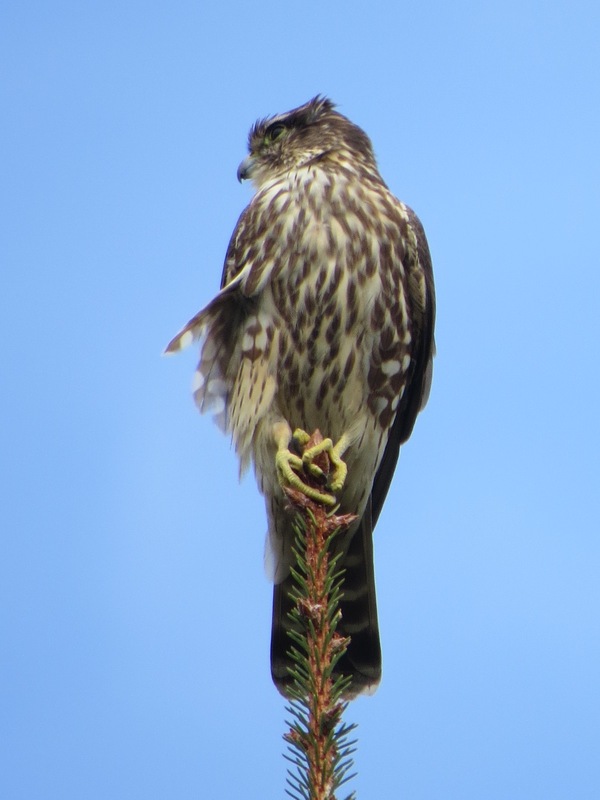 Merlins like to perch and don’t seem to be as jumpy as, say, the Accipiters, who are constantly on the move. 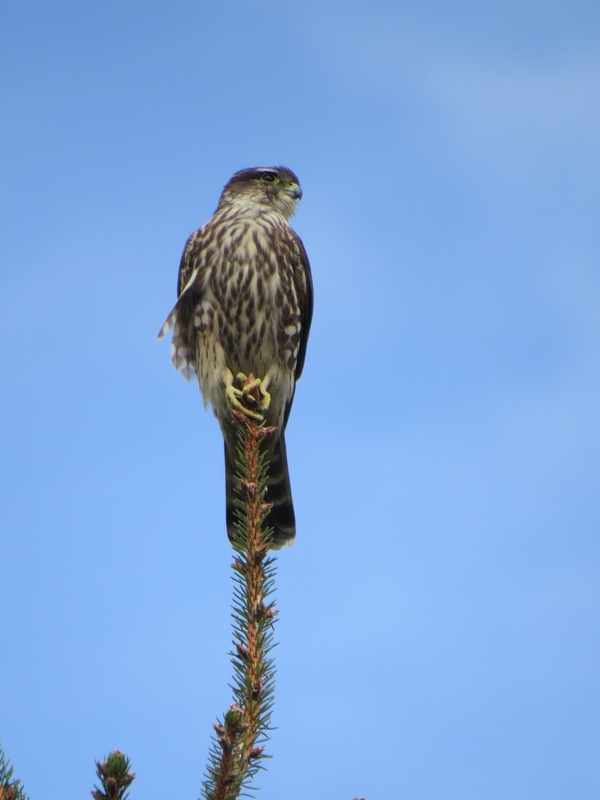 This Falco columbarius had just returned to this perch, where I’d earlier seen it, from quite a too-do with several Blue Jays, which were mobbing it in a nearby tree. 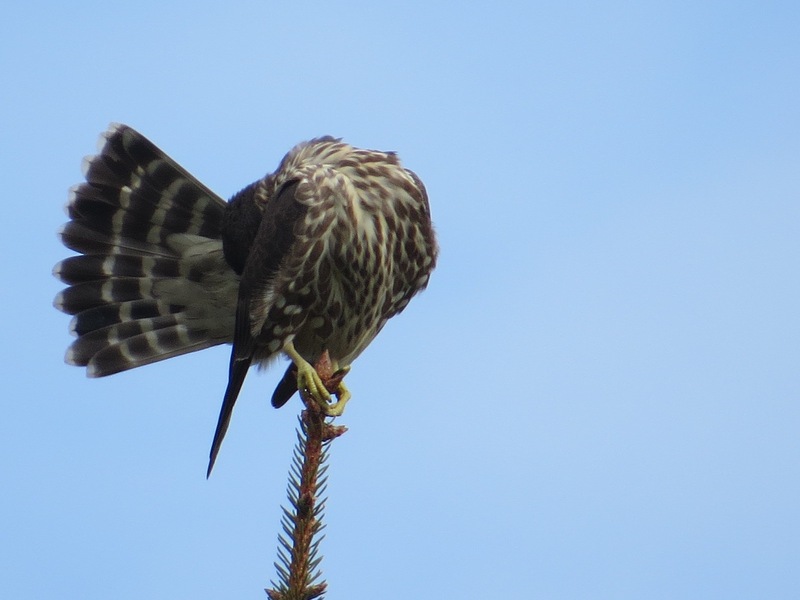 Green-Wood‘s a good place to see these little falcons this time of year. Fall and Winter in general are the best time to see them locally: here’s some excitement out at Fort Tilden during October of ’15. One final shot. Hard to get enough, right? Especially when you have such relatively leisurely amount of time to observe. 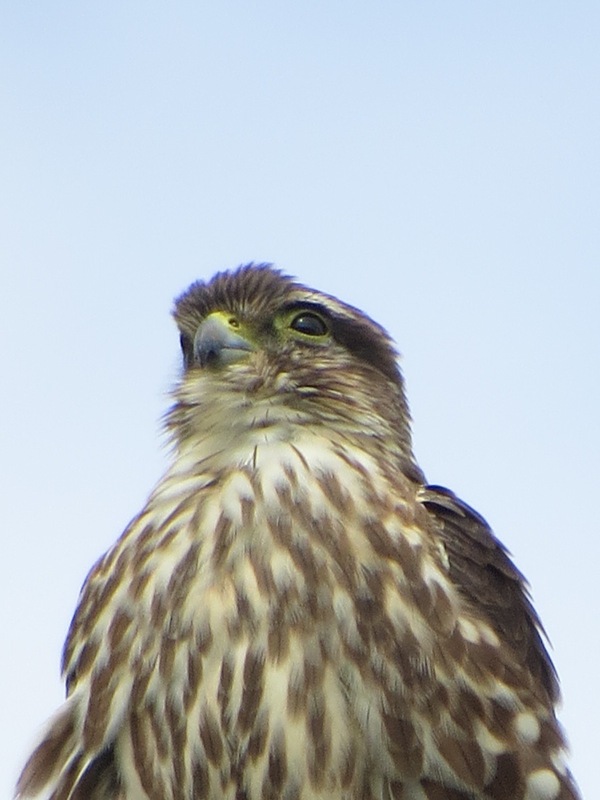 This is the bird that soon after appeared next to the nearby American Kestrel eating a Common Green Darner. Great photos to see first thing in the morning. Thanks!